On Wednesday, February 20th, I am co-facilitating a workshop with Lt. Paul Verrillo of Public Safety entitled “Cute or Creepy? 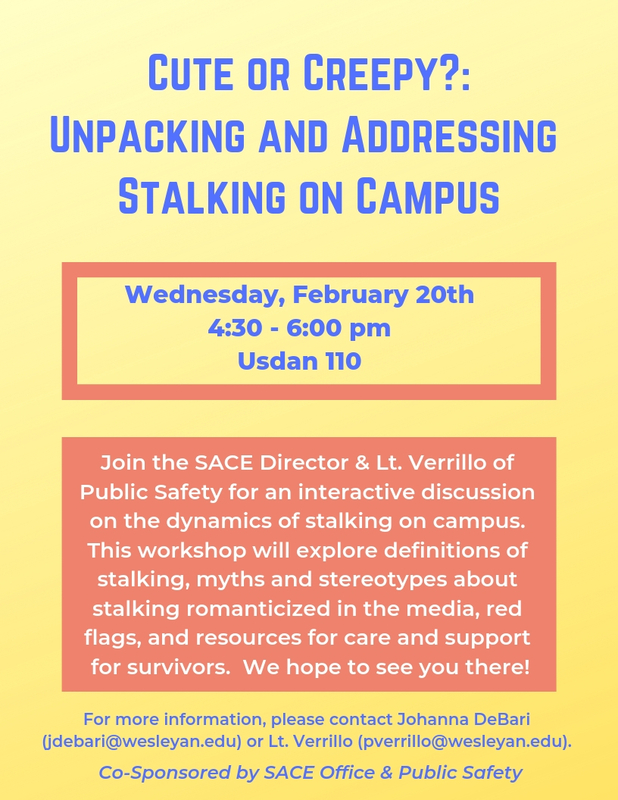 Unpacking Dynamics of Stalking on Campus.” interactive discussion This interactive discussion will explore definitions of stalking, myths and stereotypes about stalking romanticized in the media, red flags, and resources for care and support for survivors. Join us on on Wednesday, February 20th from 4:30-6:00 pm in Usdan 110. We hope to see you there!